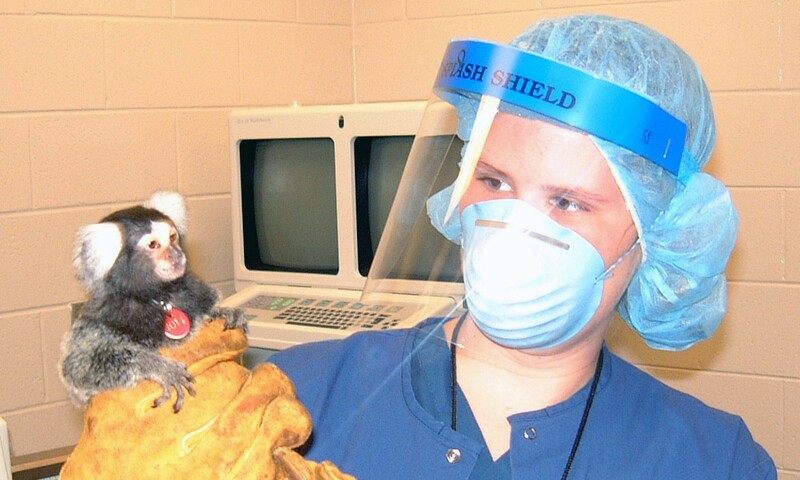 Research technician prepares a pregnant female marmoset for an ultrasound at the Wisconsin National Primate Research Center. Because they are acclimated to careful handling through positive reinforcement they are not anesthetized and do not experience any stress during the procedure. They know and trust their caretakers.